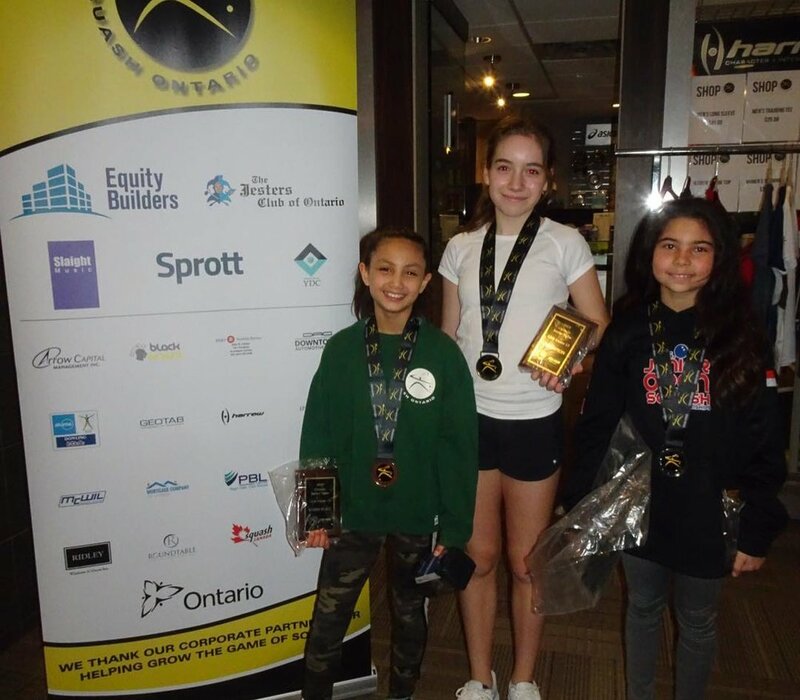 Saturday evening was a very special day for our Ontario junior squash community as we came together as family to recognize the amazing group of young athletes in our province. This is a quick wrap-up of the evening including thank yous, pictures and award winners. 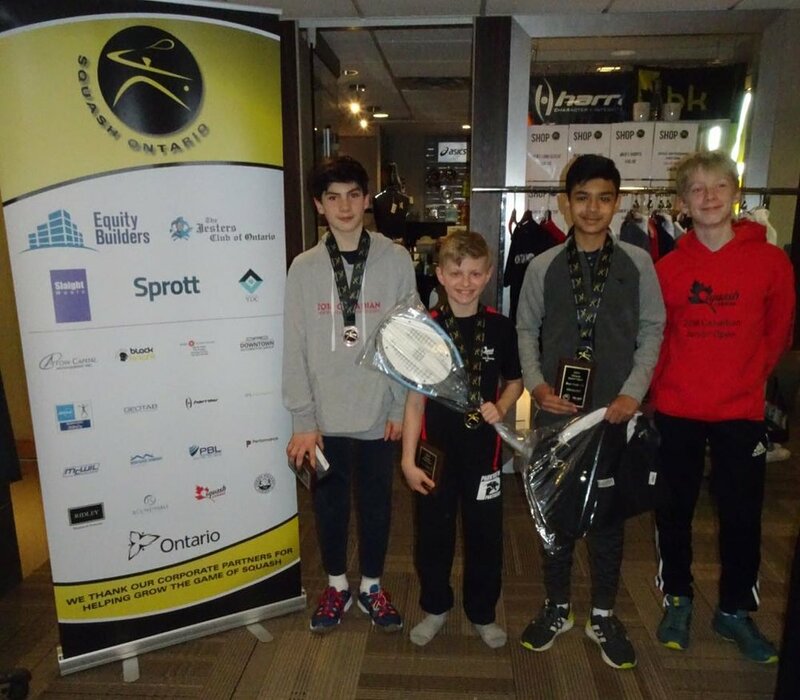 The banquet was the vision of Jeff Deverill and the Jesters of Ontario who are also Squash Ontario platinum corporate partners and the single largest supporter of squash in our province over the past decade, contributing over $200,000 during that time. 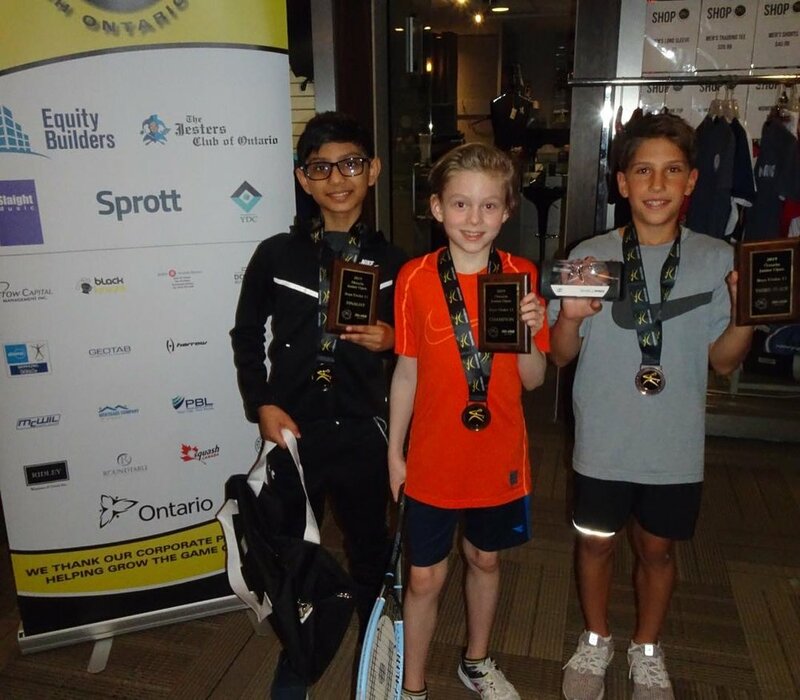 Equity Builders (Singh Family), Slaight Music(Gary Slaight), Sprott Resources (Yuzpe Family) and YDC Pro (Javed Khan and family) are our key anchor sponsors that have helped us to launch a rebirth of junior squash and athlete development programs. 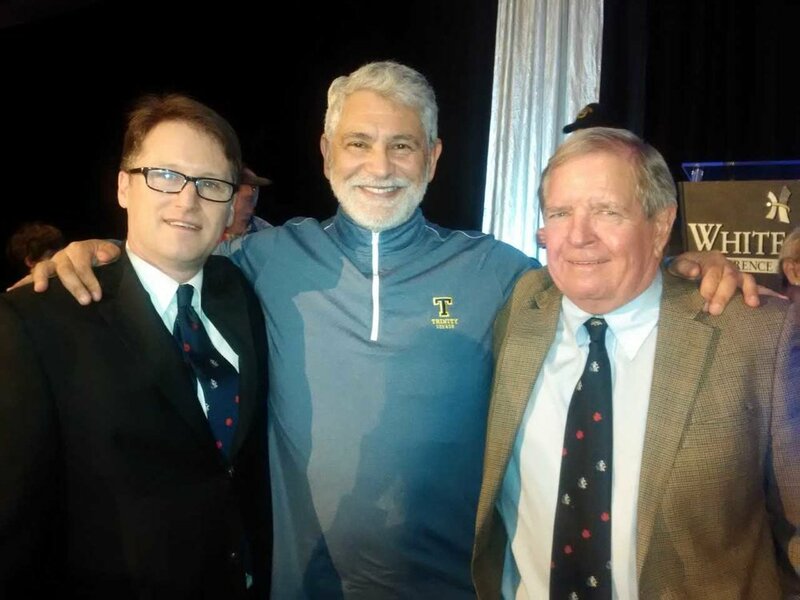 In addition, The Hazelton Hotel (Simmons Family) and Mortgage Company of Canada(Tejani Family) came on board in 2018-19 to help support this vision, in particular with the US Junior Open initiative. 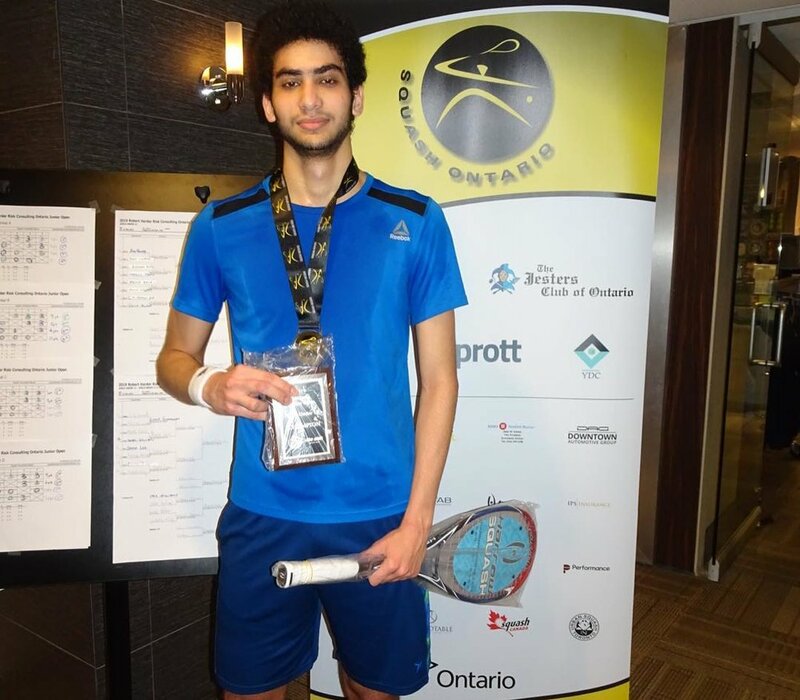 All of our sponsors and donors were secured by the monumental work done by the 2017-19 Squash Ontario Fundraising Committee (Steve Yuzpe, Javed Khan, Faheem Tejani, Heather MacLean, Simon Kay, Martha Simmons, Ash Singh and Peter McCarthy) who took the organization from $50k to $150k to $200k in funds raised in two short years. You have already seen and will continue to see this investment in our athletes pay off exponentially in both the present and the years to come. Thank you to ALL of our amazing donors and sponsors which can be found here this past season – your support is truly incredible. We are already hard at work on the 2019-20 program which will feature continued focus on corporate partnerships and a sustained individual donor program. 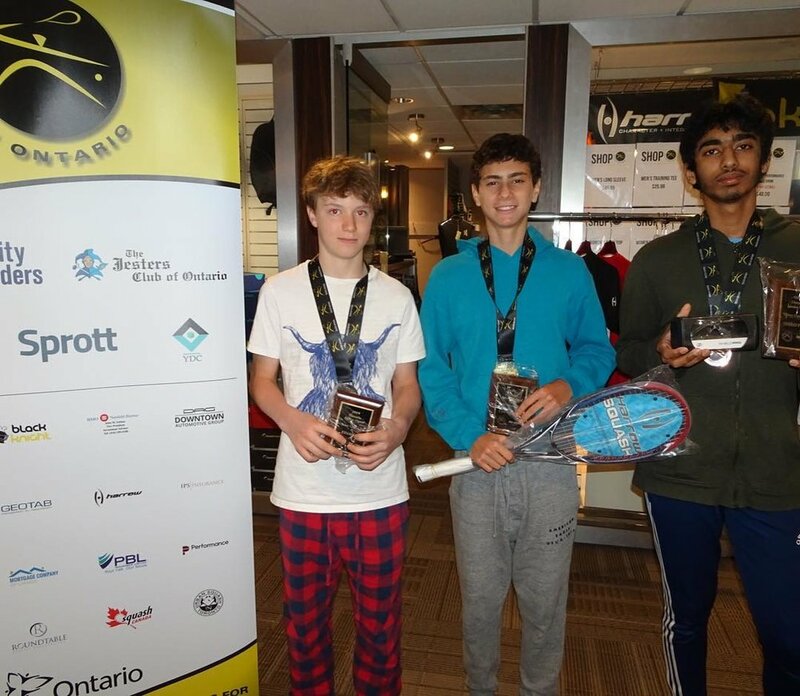 If you want to get us started in the right direction, you can make a donation to the Lee Hanebury Fund through this link or contact Jamie at jnicholls@squashontario.com to get involved. On to the evening…with thanks to the incredible White Oaks Team (Matt Easingwood, Cindy Sachvie, Robert Harder), Guest Speaker Coach Paul Assaiante, our presenters (Rob Brooks, The Bannerman Family, Jim Paton, Rea Godbold, Greg Hutner, Allan Cook, Syan Singh/Amal Izhar and Jamie Nicholls), Murray Harper and the Squash Ontario officiating team, the Squash Ontario group of Lauren Sachvie, Lynsey Yates, Ben Marrison, and Emmett Currie, all of the parents that joined us for dinner and of course Jeff Deverill. 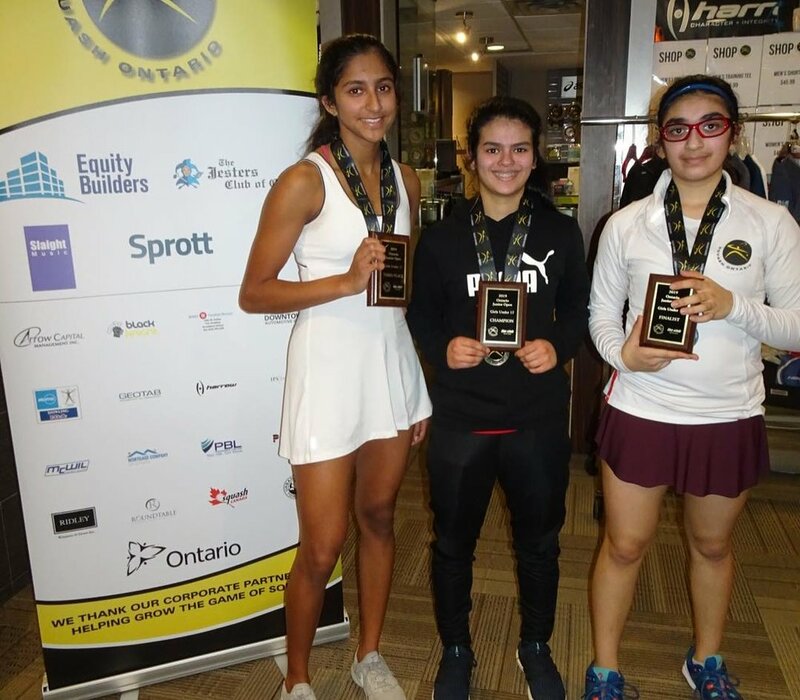 Pictures of the Awards Banquet can be found at this link including our very special 2019 Squash Ontario Graduating Class photo that signifies a group of community leaders that are will be heading off to their next adventures in the fall. They deserve a congratulations of their own. 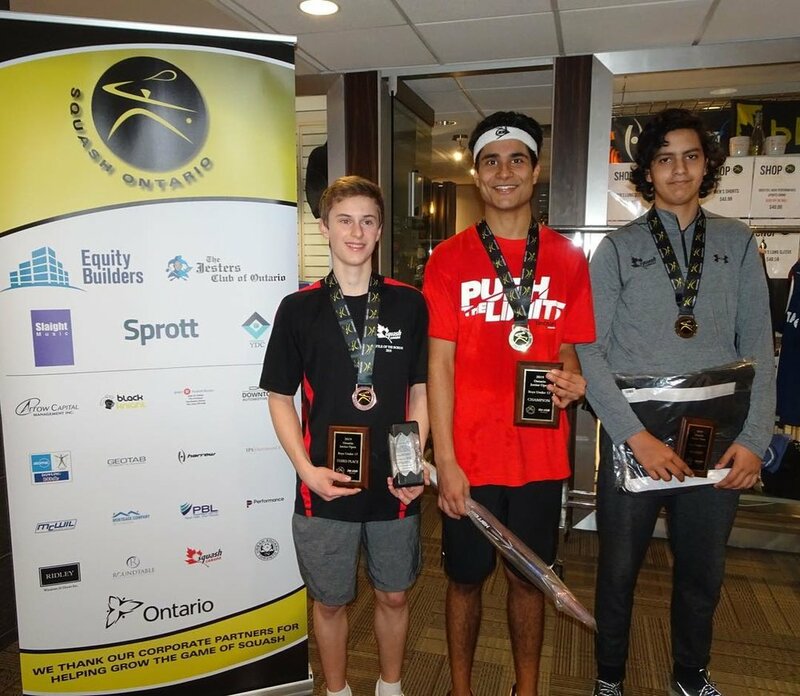 Once again, Squash Ontario would like to thank all of our athletes, coaches, officials, sponsors, volunteers and parents for all they do to make our community a very special one.